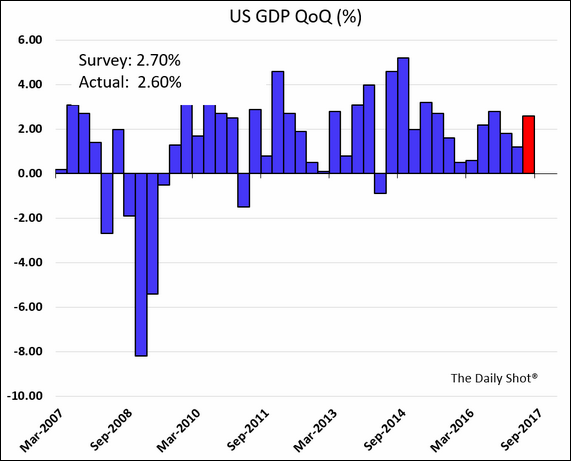 The United States: Let’s begin with the GDP report which was a touch weaker than expected. Nonetheless, the second quarter expansion was more than double what we saw in the first quarter and represents a 2.1% increase from last year. Consumption drove much of the growth. 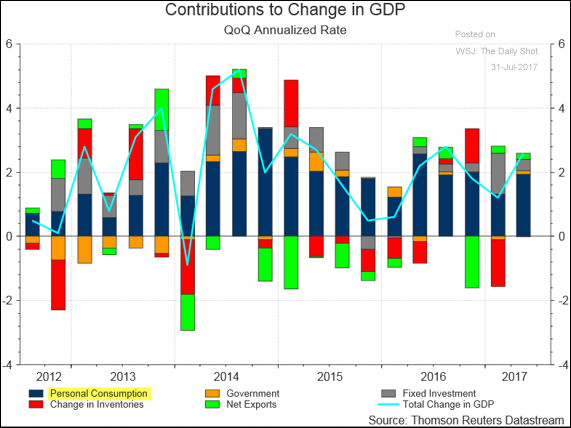 Also, net exports were additive to the GDP for the second quarter in a row. China: Residential property prices continue to show signs of strength. Equity Markets: The percentage of bearish investors is approaching a multi-year low. For example, Merrill Lynch’s private clients remain heavily weighted in stocks, with extremely low allocations to bonds and cash. Emerging Markets: Which nations have borrowed the most in foreign currencies, making them vulnerable to a currency crisis? 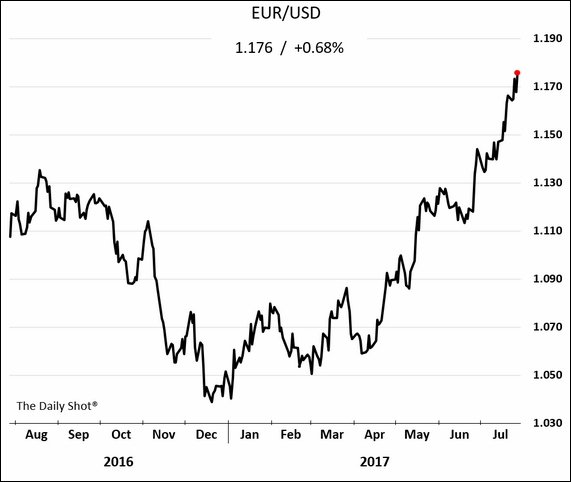 The Eurozone: The euro rally remains intact. Is it overdone? Will a stronger euro make it more challenging for the ECB to begin removing stimulus? 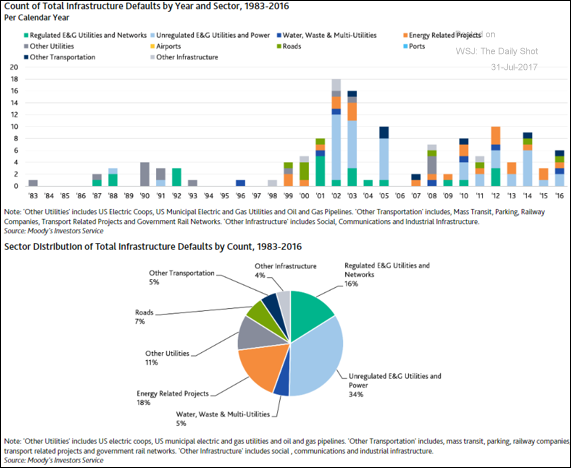 Credit: Here are some statistics on infrastructure debt defaults. 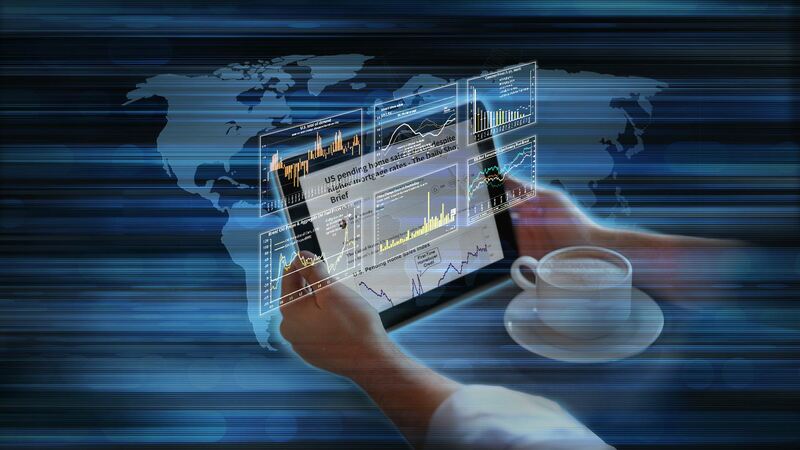 Rates: Is the dollar oversold? 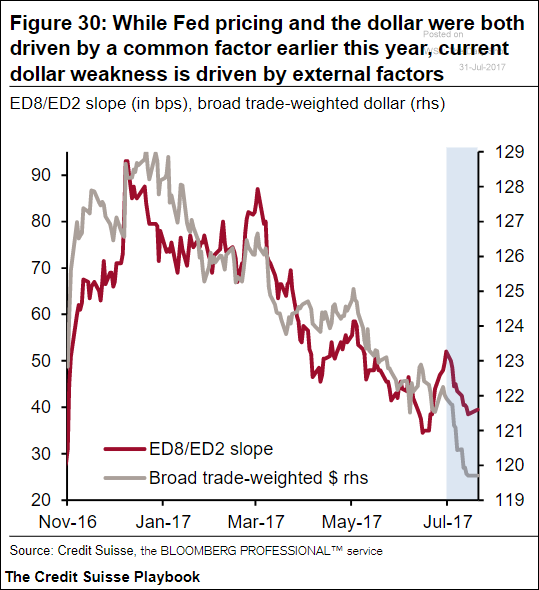 The US currency has diverged from the slope of the yield curve on the short-end.